Last year, Mike Tyson played the old-school boxing game named after him, purportedly for the first time. 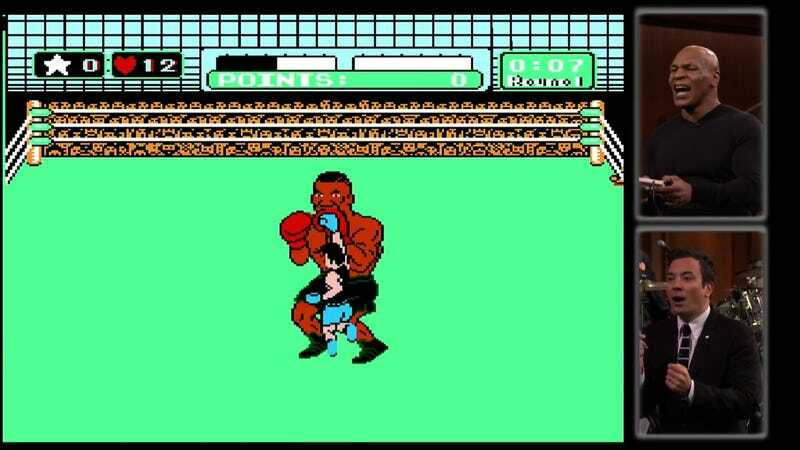 He beat Glass Joe in that effort. This time, he's facing a lot somebody tougher: himself. The infamous former heavyweight champion was a guest on The Late Tonight Show With Starring Jimmy Fallon last night, picking up an NES controller at Fallon's urging to try and beat the 1987 video game version of himself. While it doesn't go terribly well, the looks on Tyson's face as he tries to knock out his pixellated self are amazing.